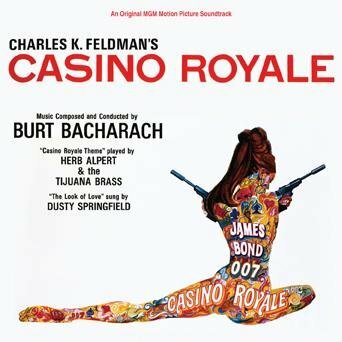 The first image on the page is for James Bond - OST - Casino Royale, limited-edition CD, followed by the original. Also check out the most recent parody covers submitted to the site. Thanks for the follow-up! 555! I think you're done now with Bond unless you wanna go all Austin Powers!!! Thanks for these suggestions, but I'll be moving away from spy and pot themes. I do admit I was getting a tiring near the end, but I did not fail to complete my self-challenge. I'll be coming back again in a new form, a new moniker, a new theme, but with the same level of juicy Photoshop detail and anarchic humor. Thanks again - it's been a TRIP. I have a request. Could you please do Fifty Shades of Grey?